Tug masters from Shoreham Port’s marine team have been carrying out vital seabed leveling works in nearby Newhaven Port this week. Bed leveling is one of the many services the port offer, alongside diving, crew changing and operational services. Seabed leveling is a modern-day dredging technique used in ports and harbors, by which a plough is towed behind a tugboat along the seabed to level high spots and ridges, moving the material to nearby low spots. The plough is fitted with teeth to cut into the seabed material and is very efficient in moving materials such as clay, sand, silt and gravel over short distances. This work is essential to maintain level entrances and ensure that berths are kept at their chartered depths. Acamar, a new tug boat that arrived at the Port in September of last year, is fitted with a 7-metric-ton winch for plough-dredging. It is complete with onboard survey equipment to monitor the progress and survey the finished product if requested. 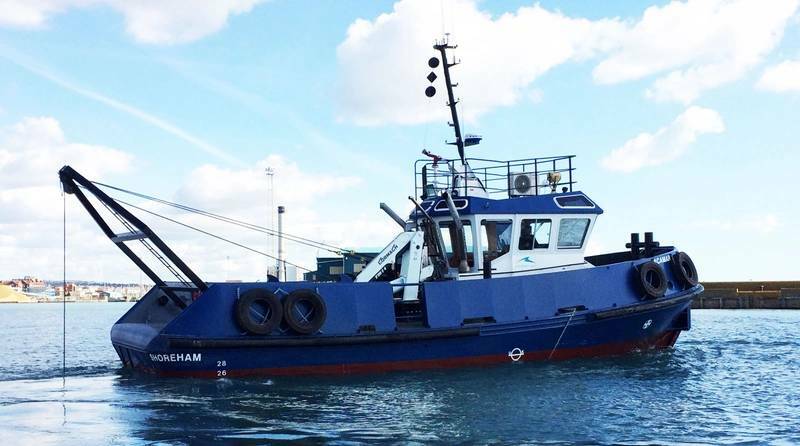 Acamar’s sister tug, Adurni, is also fitted with these capabilities, providing excellent dredging services since the departure of the Port’s bucket dredger in the early 1990s. 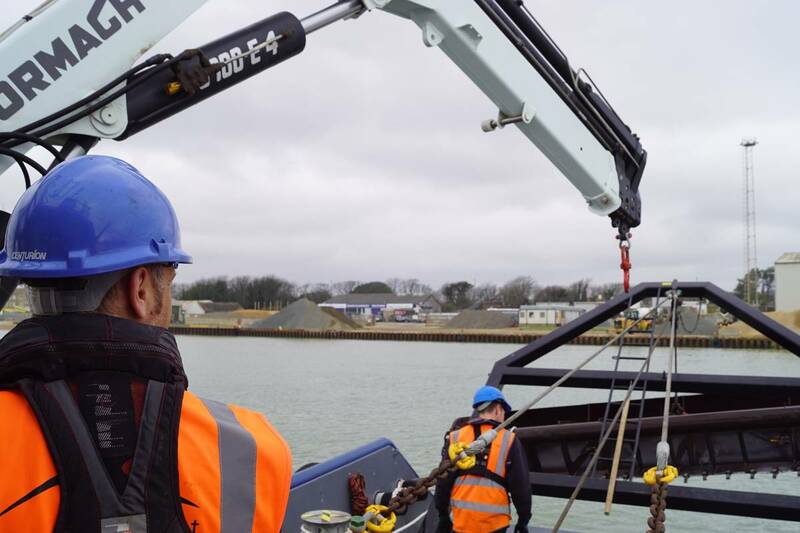 The plough has proven itself as an efficient dredging tool this week, with tug masters Darren Todman and Alex Davey completing bed leveling in Newhaven, which is sited at the mouth of the River Ouse in East Sussex. The trip to Newhaven was made even more exciting when Todman captured a rare video of a pod of 8-10 dolphins. The Brighton Dolphin Project identified the dolphins as bottlenose dolphins and advised that members of the public can log their own sightings here.